Promoting increased cocoa production for Ecuadorian farmers. Recognizing the need to provide technical assistance to Ecuadorian cocoa producers, the USDA awarded ACDI/VOCA a 4-year, $5 million Food for Progress project to promote increased cocoa production through farmer training, tree rehabilitation and the development and strengthening of farmer associations. ACDI/VOCA, USDA and the World Cocoa Foundation partnered to form the SUCCESS Alliance project in Ecuador as part of a global network of ACDI/VOCA-supported SUCCESS Alliance projects. The project began in 2004; in February 2008 ACDI/VOCA received an additional $440,000 from USDA to continue the highly successful program until 2009. Through the SUCCESS Alliance, ACDI/VOCA and its local partners implemented farmer field school (FFS) training for more than 21,000 cocoa producers to enable them to increase cocoa production through improved disease control, crop husbandry and post-harvest processing techniques. The project also established and expanded existing cocoa tree nurseries in order to replace the older, unproductive trees found on most smallholder farms. During the life of the project, farmers planted and maintained 1 million new cocoa trees, and ACDI/VOCA and its partners strengthened or developed 7 cocoa marketing associations. In addition to its Washington, D.C. staff, FAS has a global network of 96 offices covering 167 countries. These offices are staffed by agricultural attachés and locally hired agricultural experts who are the eyes, ears, and voice for U.S. agriculture around the world. FAS staff identify problems, provide practical solutions, and work to advance opportunities for U.S. agriculture and support U.S. foreign policy around the globe. FAS expands and maintains access to foreign markets for U.S. agricultural products by removing trade barriers and enforcing U.S. rights under existing trade agreements. FAS works with foreign governments, international organizations, and the Office of the U.S. Trade Representative to establish international standards and rules to improve accountability and predictability for agricultural trade. FAS partners with 75 cooperator groups representing a cross-section of the U.S. food and agricultural industry and manages a toolkit of market development programs to help U.S. exporters develop and maintain markets for hundreds of products. FAS also supports U.S. agricultural exporters through export credit guarantee programs and other types of assistance. FAS’s network of global contacts and long-standing relationships with international groups contribute to the agency’s unique market intelligence capacity. FAS analysts provide objective intelligence on foreign market opportunities, prepare production forecasts, assess export marketing opportunities, and track changes in policies affecting U.S. agricul­tural exports and imports. FAS leads USDA’s efforts to help developing countries improve their agricultural systems and build their trade capacity. FAS also partners with the U.S. Agency for International Development to administer U.S. food aid programs, helping people in need around the world. FAS’s non-emergency food aid programs help meet recipients’ nutritional needs and also support agricultural development and education. ACDI/VOCA is an economic development organization that fosters broad-based economic growth, raises living standards, and creates vibrant communities. Based in Washington, D.C., ACDI/VOCA has worked in 146 countries since 1963. Its expertise is in catalyzing investment, climate smart agriculture, empowerment & resilience, institutional strengthening, and market systems. Visit us at www.acdivoca.org. 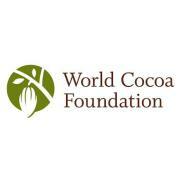 The World Cocoa Foundation (WCF) is an international membership organization that promotes sustainability in the cocoa sector by providing cocoa farmers with the support they need to grow more quality cocoa and strengthen their communities. WCF’s members include cocoa and chocolate manufacturers, processors, supply chain managers, and other companies worldwide, representing more than 80 percent of the global cocoa market. WCF’s programs benefit farmers and their communities in cocoa-growing regions of Africa, Southeast Asia, and the Americas. WCF operates at the local and global level, bridging the needs of cocoa farmers and their families with the needs of the cocoa industry and the environment. Drawing on the strength of our members, and our partner network, they combine unique industry experience, expertise and influence to deliver the necessary social, agricultural and economic advances to promote a healthy, sustainable cocoa economy that benefits everyone from producer to consumer. WCF supports programs that work with farmers at the farm level, prior to sale or commercialization of their cocoa. In this way, the programs provide farmers with the skills they need to operate productive farms and make sound business decisions.